When I’m in New York, I usually stay on the Upper West Side, and Wine & Roses has become sort of a tradition. It’s the first place my husband and I head to, where we split a bottler of wine and some tapas or a light meal and concoct our plan to take on the city. The menu is limited, but has a good variety of fare to pair with the wine of your choice. I also love the contrast of marble table tops and exposed brick with fresh roses throughout. Another one of my Upper West Side favorites is Isabella’s, which calls itself “inventive Mediterranean cuisine”. But don’t get too caught up in the label, even the humble spaghetti and meatballs is amazingly delicious. Also, you’ll want to save room for dessert and try the Chocolate Bag. Curious? You should be. It’s a hard dark chocolate shell in the shape of a brown paper bag, filled with raspberry mousse and topped with fresh mixed berries (sinful). 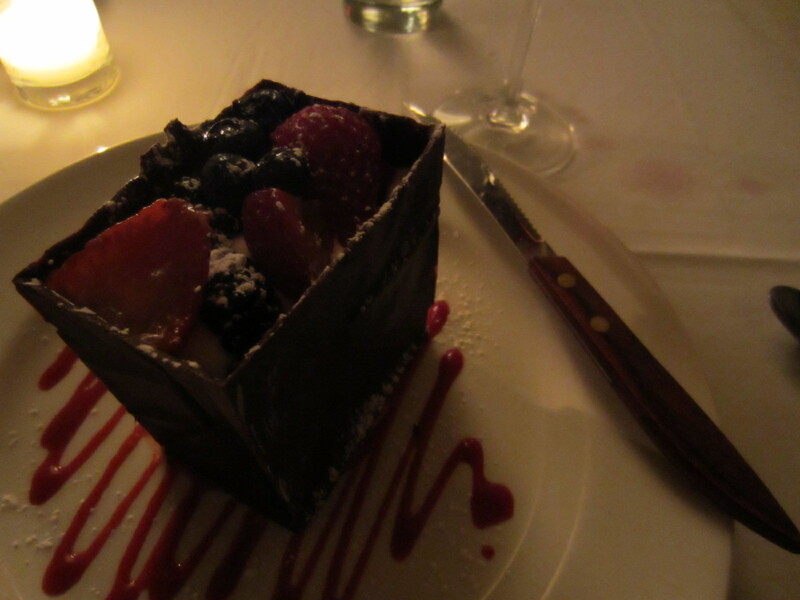 Besides, any dessert that’s presented to you with a steak knife means serious business. Pizzerias are a dime a dozen in New York, but this one was recommended to me by some friends who claim it’s the closest to authentic Italian pizza that they’ve found in the city. 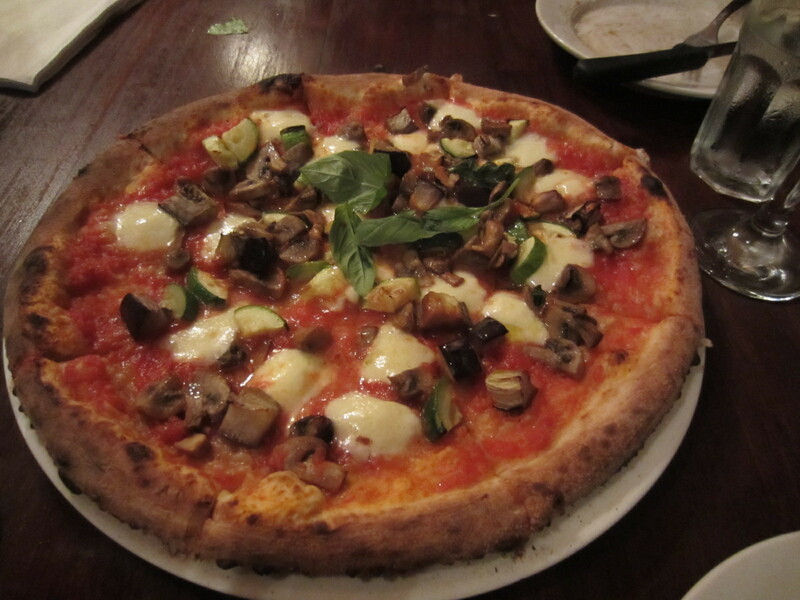 The reason – Luzzo’s cooks their thin crust, Napoletana style pizzas in traditional coal ovens. They also offer two different sizes, making it tempting to try more than one kind. The verdict – delizioso, plus extra kudos for awesome website design. Note, that you can only pay in cash. Whether you’re up for dinner, drinks, dancing or all of the above, half of the novelty of Beauty & Essex is its entrance, a neon-lit pawn shop reminiscent of the 1970s. 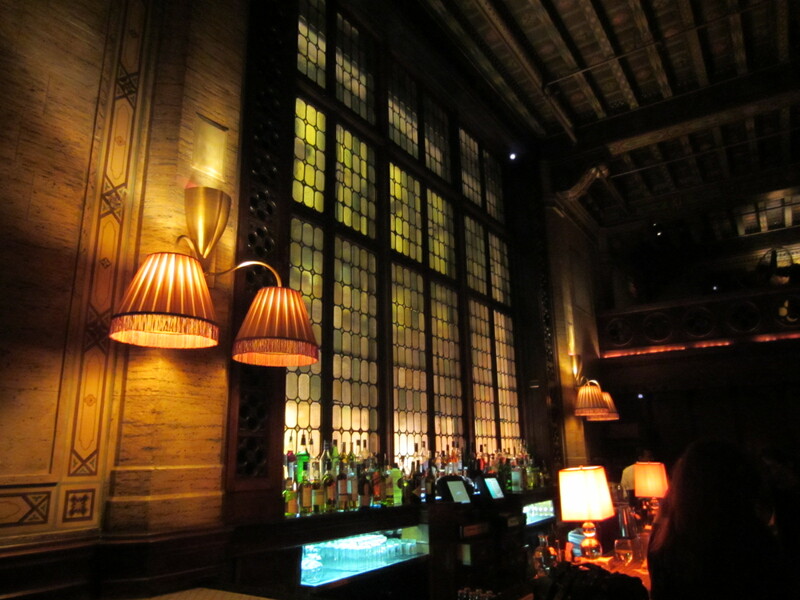 Once inside, you’re greeted by the glitz and glamour of this chic, upscale Lower East Side restaurant and bar. The other half of the novelty is the free champagne that is served in the ladies room, a bonus for the women. Reservations are recommended, especially if you plan to go on the weekend. 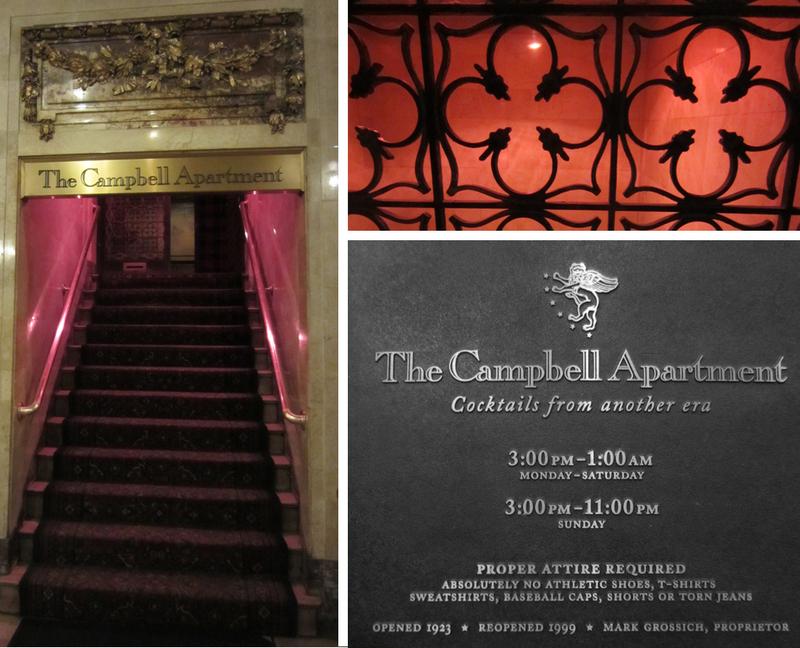 Located in Grand Central Station, the Campbell Apartment is one of New York’s many hidden gems from a bygone era. Enter via Vanderbilt Avenue on the west side of the station, and be prepared to be transported back to another time and place. Formerly the office and salon of 1920s finance mogul John W. Campbell, this bar boasts a menu of vintage cocktails like the Park Avenue and the Kentucky Ginger. The dark interior, which was restored to its original grandeur and reopened in 1999, is dotted with couches and cozy nooks, a grand fireplace and a beautiful iron and glass window over the bar. It’s not hard to imagine the very important business discussions that took place here decades ago. The drinks are a bit pricey, so the Campbell Apartment may not be the best place to spend your entire night, but is the perfect spot for a nightcap or to meet friends for a quick drink after work. Any places in New York that you recommend? If so, share them below!